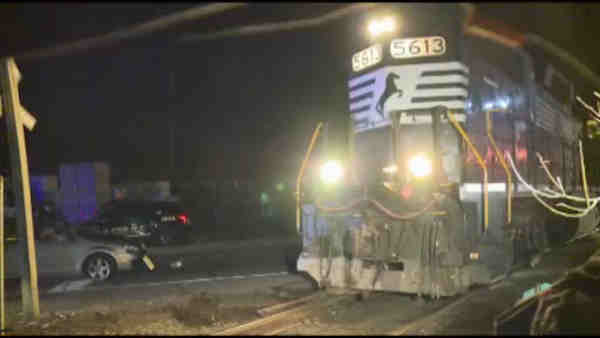 SADDLE BROOK, New Jersey (WABC) -- A car collided with a freight train Friday on tracks used by New Jersey Transit's Bergen County Line. The occupants of the car were not seriously hurt in the crash on South Midland Avenue in Saddle Brook. The car was crossing the tracks, which are at street level, at around 2:45 a.m. There is no crossing gate or lights. The freight train was operating on NJT tracks, but the crash is expected to be cleared before the morning commute. The tracks serve NJ Transit's Bergen County Line.